Before the Fall Books, 9780983713708, 224pp. 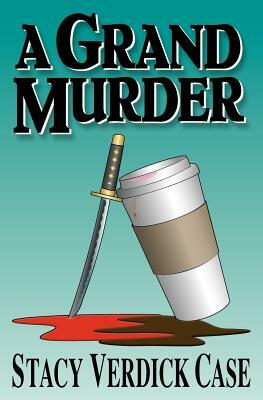 A Grand Murder is the first book in the Catherine O'Brien mystery series. When a prominent local businessman and friend of the chief of police is murdered on the front steps of his posh Grand Avenue Hill home, Saint Paul homicide detective Catherine O'Brien a pithy, vertically challenged, St. Paul, Minnesota, homicide detective with a monstrous coffee habit and her partner Louise are given two days to find his killer. They soon discover their victim had a list of people with motives to murder him, including his fashion designer ex-wife, his mistress's husband, and the chief of police. The only evidence they have to go on is a missing cell phone, a stolen book, the victim's letter opener, and an ugly pair of Alpaca wool mittens.